There's nothing quite like the transition into the holiday season – the style, the food and the décor all have a little magic. Cold weather wardrobe essentials — like cozy cashmere sweaters and holiday metallics — resurface and make us fall in love with the art of dressing all over again. To match this warmer, richer style, we're sharing a festive style-scent guide featuring Les Royales Exclusives collection to inspire you as we head into the most wonderful time of the year. White AmberWhite Amber is sophistication in a bottle. It is perfectly suited for a woman with an eye for style, with a luxurious twist. This fruity-floral fragrance begins with inviting top notes of amber and vanilla while giving way to rich elements including sandalwood. White Amber is synonymous with glamour and prestige — so add a spritz of this alluring scent on top of your most fabulous party dress and consider this your golden, go-to scent as you navigate the holiday party circuit this season, and beyond. Jardin d'AmalfiInspired by the floral landscapes from Italy's stunning Amalfi coast, Jardin d'Amalfi infuses a sense of adventure and artistry in those who wear it. A perfect blend of energy and elegance, this universal, floral-musk scent is often found among one's most-prized travel items — like a wide-brimmed hat, cozy sweater for exploring and a digital camera to capture memories. 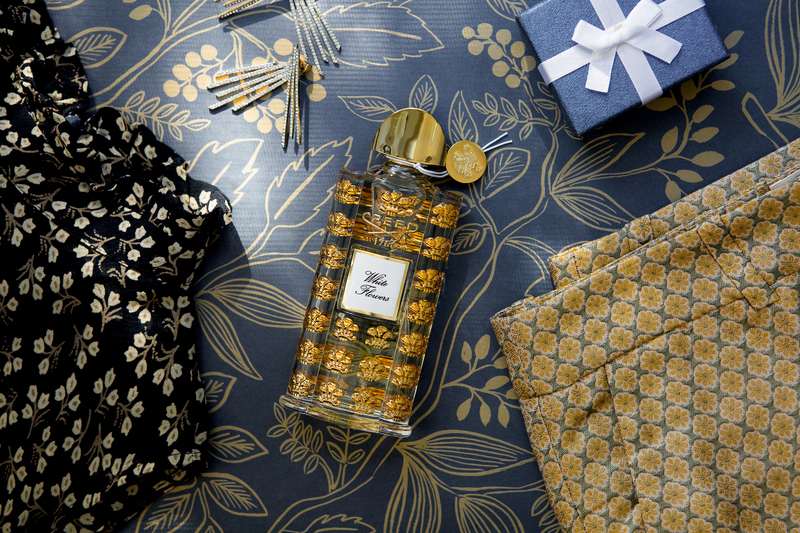 Consider this fragrant masterpiece an essential as you pack your bags for upcoming holiday travel. Spice and WoodA fragrance for those who appreciate the finer (read: finest) things in life, Spice and Wood's robust aroma is a must-have in every modern man's fragrance rotation. Speaking of essentials, pair this woody, fresh scent with fall staples and rich textures like suede boots and a pair of a tailored corduroy pants for a seasonal look that takes you from the city streets to a fireside with ease. Spice and Wood's blend is unexpected and inviting with lemon, warm clove, and aromatic apple evolving into rich notes of cedarwood, oakmoss, and Tonkin Musk — so cozy up by the fire with a hot toddy, and let this warm scent transport you to a luxurious autumnal oasis. 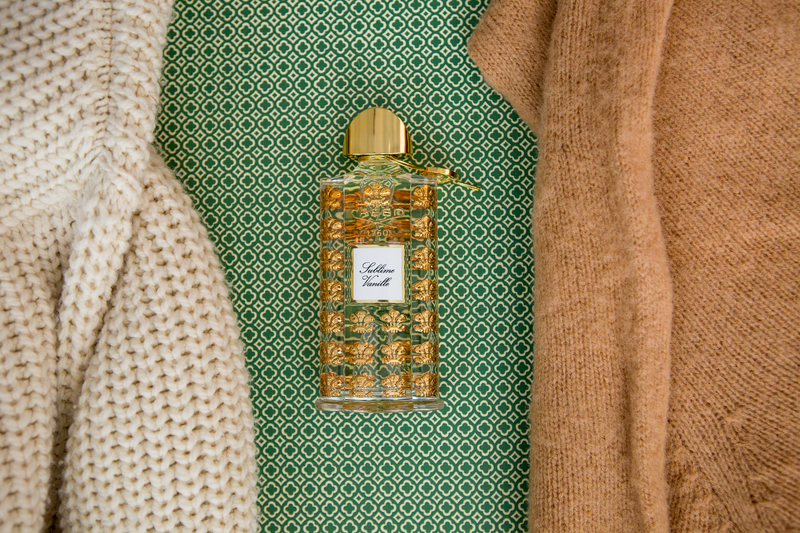 Sublime VanilleAs brisk autumn days give way to blustery winter nights, there's nothing better than indulging in luxurious comforts — just add a dash of Sublime Vanille, and you'll see what we mean. This soft scent has become a celebrated mainstay in our collection with its comforting blend of vanilla and Tonka bean that suits him and her alike. Style it with a chunky knit or cashmere sweater and a fashion forward fedora for a chic fall/winter ensemble that exudes comfort and elegance. Whether you're spending the evening wrapping holiday gifts or enjoying a night in with the one you love, it's impossible to resist the universal allure of Sublime Vanille. White FlowersDreaming of scenic getaways for the holiday season? As a picture (and aroma) of paradise, White Flowers exceeds expectations with a creamy blend of top notes including violet leaves, green apple, and lemon, followed by jasmine, geranium, and rose. Embrace your feminine side fully, and wear this scent with a floral-printed blouse, muted pastel jacquard pant, and a pair of sparkling statement earrings that seamlessly take you from the corner office to holiday celebrations. Delicate and divine, White Flowers is sure to be a standout scent among the festivities (and fashion) this season. Pure WhiteWinter whites are taken to a whole new level thanks to our Pure White Cologne. The citrus-fresh scent is refreshing in more ways than one; it is a reminder that less can truly be more — even amongst the coldest days. When it comes to style, Pure White is best suited for the modern minimalist whose wardrobe can best be described as posh and polished, making the scent a perfect addition to a tailored overcoat and trousers, and sleek eyewear. Throw in an art book and a film camera to complete the look — and lifestyle — that is fit for the urban sophisticate. Even as the temperatures cool down, know that you can turn the corner on a new season in confidence with a cologne that is as refined as Pure White.